Base Depth: " Runs Open: /100 Summit: 9570ft. New 24HR: " Lifts Open: Vertical: 3000ft. New 48HR: " Snowfall YTD: Base: 6570ft. Deer Valley offers a phenomenal array of terrain, at their skiers only resort, for those looking to experience the finest resort in the State. First-time skiers will find their footing in the Wide West beginner area, eager intermediates can advance from gentle runs to steeper trails, and expert skiers will find new challenges around every turn on the 2002 Olympic Winter Games runs, powder trails, and advanced slopes. 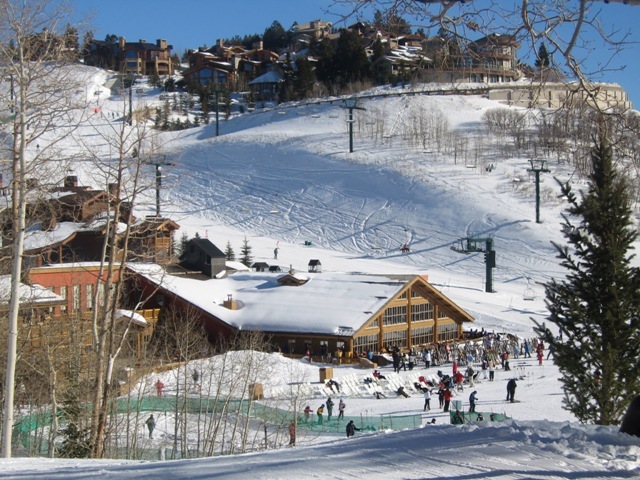 The secluded, elegant atmosphere of Deer Valley is situated just 36 miles from Salt Lake City, with a variety of transportation options to get you from the plane to playing on the slopes in the same day. Deer Valley has been consistently rated #1 in guest service by readers of Ski Magazine, and sets out to provide visitors with distinctive and exceptional service, far exceeding any expectation you may have. A charming blend of restaurants will add flavor to your winter vacation, and Deer Valley’s famous turkey chili is a must-try for every visitor. Dining and lodging options are easy to find throughout the resort, and make it simple for vacationers to stay close to the hill while they enjoy themselves. Whether you decide to spend the day taking a scenic ride to enjoy the views, experiencing the vast collection of resort atmospheres and activities, or challenging your skills out on the slopes, come experience the Deer Valley difference.